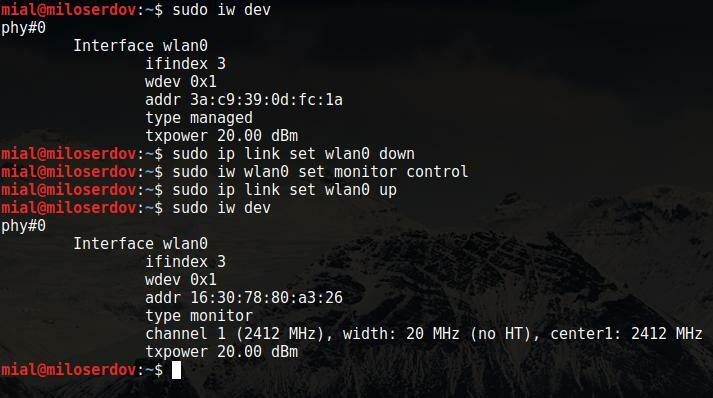 You can use the following command to set wireless interface to Monitor mode and Managed mode on any Linux distro. The only requirement is availability wireless adapter that supports monitor mode. This one is recommended. You should check whether the operating system is able to recognize your Wi-Fi card. In addition, you need to know the name of the wireless interface. As you can see, the name of my wireless interface is wlan0. In addition, you can see that it is in managed mode. As you can see, now type monitor. Note: the name of interface is not changed by this method. 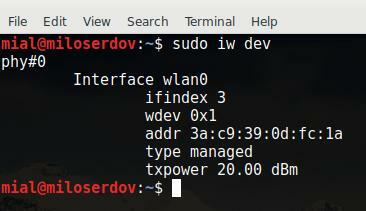 The name of interface is wlan0. 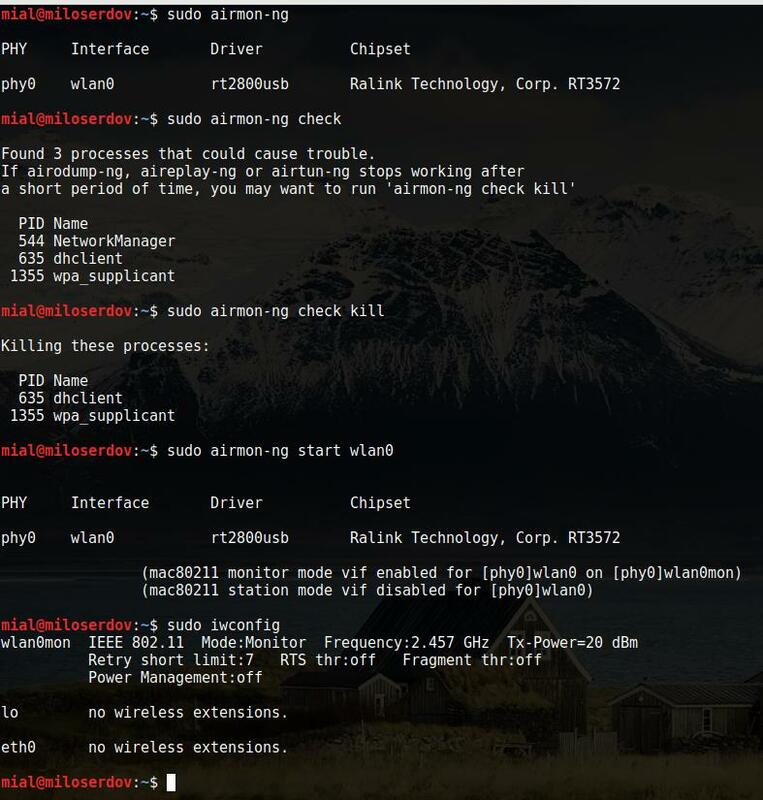 As you can see, it created a monitor mode interface called wlan0mon. The network interface with wireless extension is called wlan0. Note: when you stop NetworkManager, your Internet access disappears!